Spanish regional cable operator Euskaltel has struck a deal to carry Mediapro’s eSports offering U-BEAT as part of its content line-up. U-BEAT offers more than 3,000 hours of competitions, news and magazine content about eSports. Euskaltel said that eSports was growing in popularity in Span, with an audience of about 5.5 million spectators and annual revenues of around €15 million currently, with an expectation that this will grow by up to 32% over the next two years. Euskaltel will make UBEAT available across its networks in the Basque Country, Galicia and Asturias as well as the five new markets it has targeted for expansion: Navarre, León, Cantabria, La Rioja and Catalonia. “Euskaltel Group always aims to be in the vanguard in content and services offered to our customers, which are the keystone of our business. We want to establish ourselves as a reference platform in our complete offering for TV users. eSports are a reality in full swing in Spain and are experiencing a significant rate of growth [with] a turnover of €15 million a year, which will grow by 32% between now and 2021,” said Francesco Arteche, Euskaltel CEO. 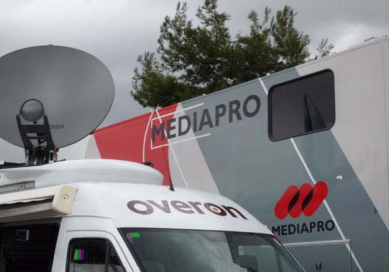 Mediapro launched U-BEAT as an OTT TV service targeted at Spanish-speaking fans worldwide in November, with managing partner Tatxo Benet describing it as “a significant step” in its development of its eSports strategy. Mediapro used the Barcelona World Games, a major eSports event currently running in Medapro’s home city, to present the new live and VOD service. Benet said that Mediapro saw eSports “as part of our policy of constant innovation in all lines of business” that would be “part of the natural evolution of Mediapro, which also wants to be a leader in this field”.